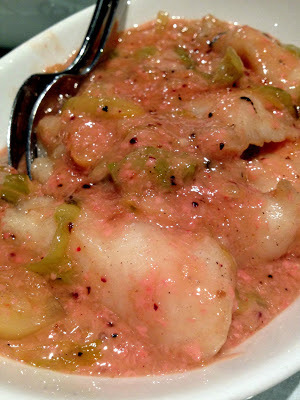 The Bake-a-nista: The Great Eastern Hakka Restaurant - Asian fusion at its best! 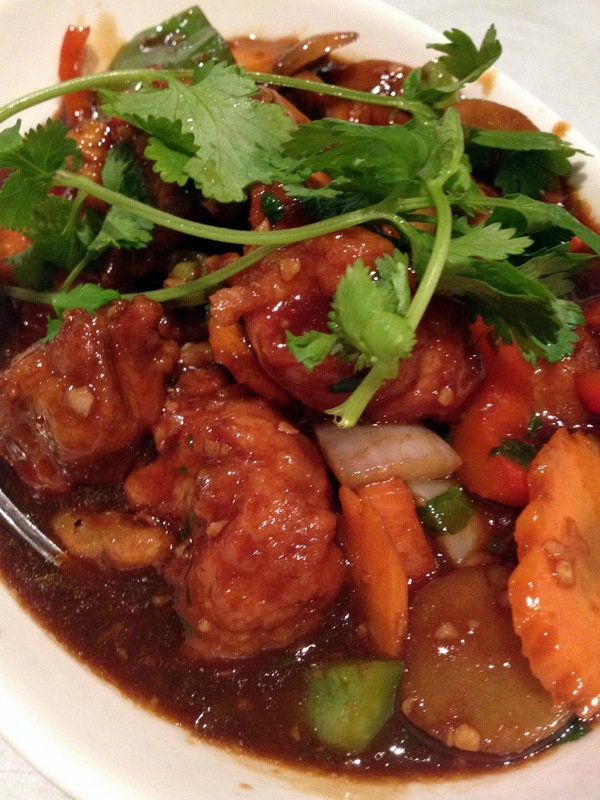 The Great Eastern Hakka Restaurant - Asian fusion at its best! The Great Eastern Hakka Restaurant is a fusion Asian dining that combines Hakka Chinese with Indian and Swedish gastronomy tastes, bringing to you a creative and unique menu. 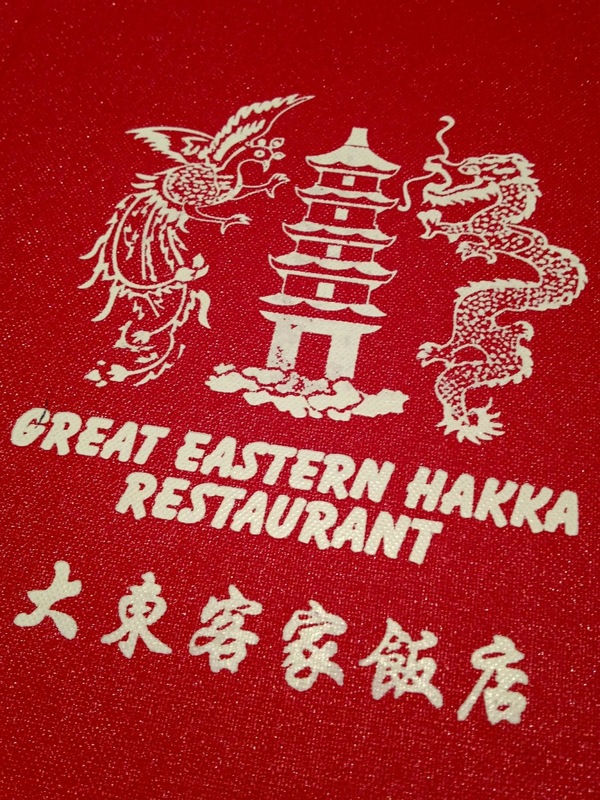 The people who run the Great Eastern Hakka Restaurant, are indeed, as you would have guessed, of Hakka origin. They once lived in India and later on, moved to Sweden where they ran a restaurant there before settling down here in Melbourne. They have a vast array of Swedish pizza to choose from, and we decided to have one of the special gourmet pizza to start off - Three Cheese Pizza. The crust was thin and crisp to perfection, with a touch of tomato sauce, a mix of quality lamb and beef eye fillet scattered all over the pizza which was generously topped with cheddar, gorgonzola and goats cheese, then garnished off with some Spanish onions. It was a really good pizza with a unique flavour that I've never had before. One of a kind I'd say and may I add, very very tasty. The boys also wanted to try the Duck Pizza. 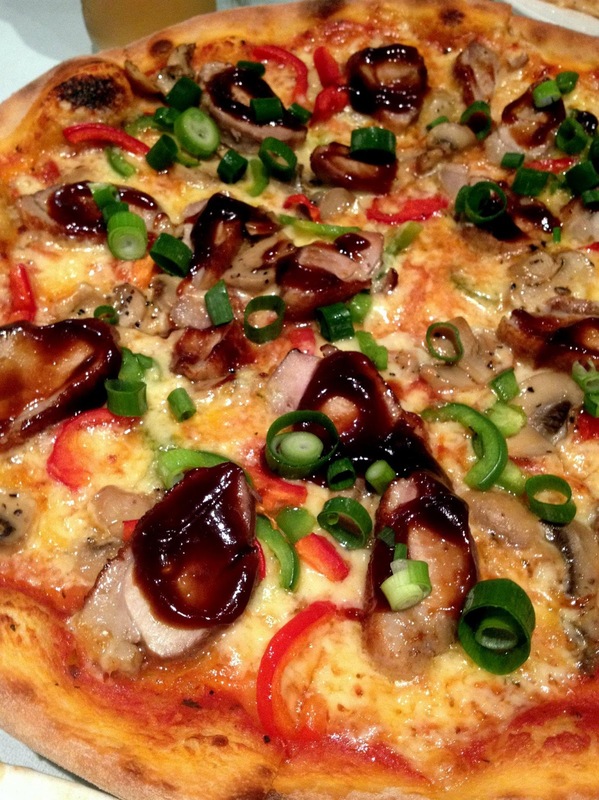 A thin crust, with a tomato base, sprinkled generously with cheddar, mushroom, capsicum and roasted duck, then garnished with spring onion and hoisin sauce. 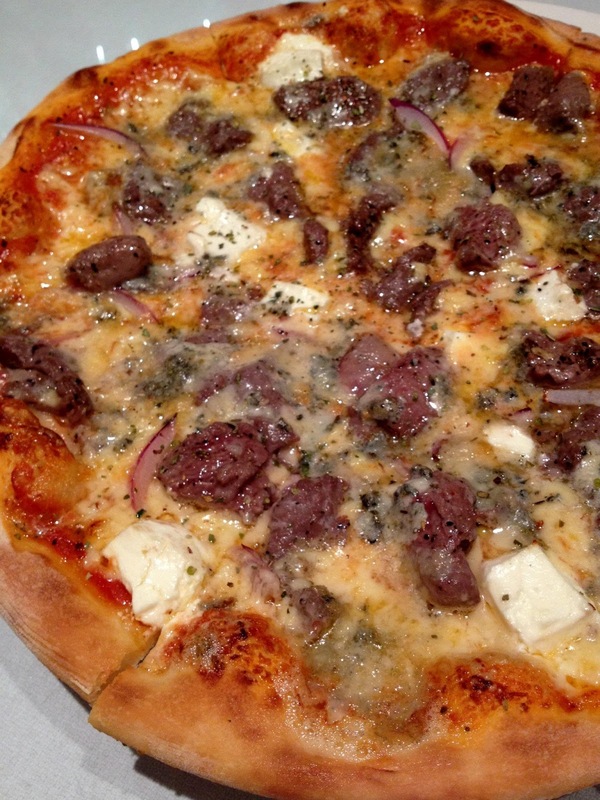 Whilst the Duck Pizza was also wonderfully prepared, it wasn't as favorable as the Three Cheese. I personally couldn't comprehend Chinese flavours on a pizza, and the flavour combination of tomato and hoisin sauce kind of threw me off. We asked Jenny, whom I believe is the owner, for further recommendations and she suggested Zaou Shui fish fillet. She explained that it was a traditional dish of stir-fried fish fillet in Chinese wine and pickled vegetables. Steve, who is a Hakka, commented that the dish is very authentic. I've never tried this dish before, and I really liked it. For those who like it spicy, Jenny recommended a Manchurian dish - any meat of your choice tossed in soy sauce flavoured with minced garlic, ginger, chillies and coriander. We went for Manchurian chicken which was needless to say very tasty and full of flavour, but a tad bit too spicy for my liking. The boys polished it clean though! 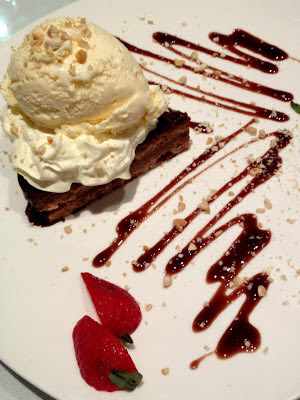 Although we were all really full, we (or at least I) couldn't skip dessert so all 5 of us shared what I believe is called the Daim cake - a Swedish cake with ice cream. I can't remember exactly what the cake was comprised of, but if memory serves me right, there was layers of chocolate, nuts, and maybe a hint of cream cheese. Hmm, I think there was also a crunchy praline-textured layer with hazelnut flavour. But never mind the elements - regardless of what it was, it sure was lovely! The food albeit slightly pricey, is really good and yours truly aka the food snob, was very satisfied! 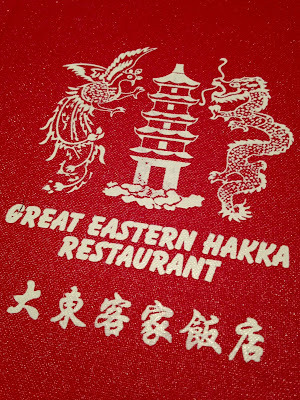 The Great Eastern Hakka Restaurant is definitely worth a visit. And hell yeah, we all agreed that we'll be sure to return... one day! thats one of a kind, swedish, chinese and indian influenced..wow. hakka restaurant that serves swedish pizzas? lol!! Joe: It is, isn't it? The food is pretty amazing! MChin: Well, it's not really a Hakka restaurant if you read their intro. They're a fusion. A touch of tomato sauce with Best Pizza in Melbourne can make the taste of pizza more spicy and yummy.